Approximately 11% of women worldwide suffer from premature ovarian failure. This can have many different causes: chemotherapy administered for a malignant disease might irreversibly damage the ovaries and, because of the advances in modern cancer therapy, the number of young women surviving cancer is on the increase. The women, some of whom are still very young, prematurely enter menopause. Genetic diseases can also trigger early menopause but, in most cases, no specific cause can be identified. Now, for the first time, an international team of researchers led by MedUni Vienna has successfully transplanted an ovary from one individual to another, even managing to restore a monthly cycle. “Firstly, an early menopause means that women cannot fulfil their longing for a child and, secondly, the associated drop in hormone levels can prematurely trigger osteoporosis or other menopausal complications,” explains Michael Feichtinger, lead author of the study from MedUni Vienna’s Department of Obstetrics and Gynecology. Also taking part in the study are experts in preserving fertility, Samuel Kim from the University of Kansas School of Medicine and Mats Brännström from the University of Gothenburg. In the autumn of 2014, the latter successfully performed the first series of successful womb transplants in the world. Using an animal model, the researchers have now attempted, for the first time, to perform an allogeneic ovary transplant (from one individual to another) and this was done with the aid of a new immunosuppressive agent known as PIF (preimplantation factor). This was done at the World Health Organisation (WHO) Institute of Primate Research in Nairobi (Kenya), using two baboons. They were treated with PIF both before and after transplantation. The outcome: the transplant was successful in one of the animals, a functional monthly cycle was initiated however it was not successful in the other. Feichtinger: “Notwithstanding this, the study is still very promising. 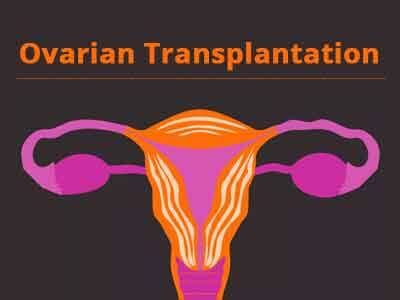 These results would suggest that successful ovarian transplantation might be possible in future. The researchers also demonstrated that the new immunosuppressive agent PIF functions well without side-effects and this could open up new potential applications for other types of transplant procedure.” Further studies are being conducted to demonstrate precisely which factors are important in ensuring the success of the transplant. The results of this study were presented at the world’s largest reproduction conference in Salt Lake City at the end of October. Michael Feichtinger’s lecture was one of six “late breaking abstracts” and immediately preceded John Zhang’s lecture on his sensational technique known as the “three-parent method,” in which the nucleus of an ovum was transferred into an enucleated donor ovum. It was just at the end of September that a baby was born from two different ova, as a result of this technique.